Apple SVP of Worldwide Marketing Phil Schiller is on a personal quest to stop the spread of misinformation about the company's new MacBook Pro flagship, as the executive penned another email outlining the why and how of Apple's decision to limit RAM allotments to 16GB. Schiller in a brief response to an article published by developer Ben Slaney explained Apple's decision to use speedy and efficient LPDDR3 memory, of which Intel's latest processors can handle up to 16GB, was in large part due to battery life concerns. 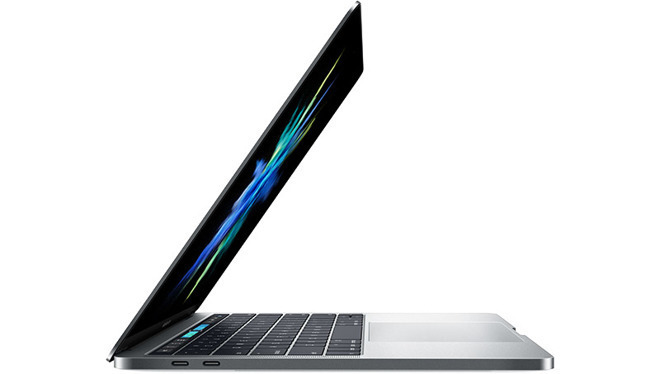 "The MacBook Pro uses 16GB of very fast LPDDR memory, up to 2133MHz," Schiller said. "To support 32GB of memory would require using DDR memory that is not low power and also require a different design of the logic board which might reduce space for batteries. Both factors would reduce battery life." The response clarified an error in Slaney's attempt to explain why MacBook Pro with Touch Bar models maxed out at 16GB of RAM, which claimed the LPDDR3E specification tops out at 1866MHz. As noted by AppleInsider in October, the Intel Skylake CPUs deployed in Apple's new MacBook Pro units only support up to 16GB of LPDDR3 RAM at 2133MHz. Intel does market products capable of addressing more than 16GB of memory, but those chipsets rely on less efficient DDR4 RAM. Ultimately, MacBook Pro will need an emerging memory technology like LPDDR4 or DDR4L to achieve higher allotments with similar or better battery life performance. Apple will likely implement fast and efficient LPDDR4 memory in a future MacBook Pro with Intel's Kaby Lake processors, though silicon supporting the RAM standard is not due for release until the end of 2017. Apple has seen an unusual amount of criticism with the launch of this year's MacBook Pro with Touch Bar. From a lack of external ports to mediocre RAM allotments, critics say MacBook Pro fails to meet the needs of the professional demographic it targets. For its part, Apple asserts its top-of-the-line laptop is an exercise in balancing performance with energy efficiency. In the case of system memory, underlying technology enabling high-capacity, high-efficiency RAM is simply unavailable at this time. Schiller previously addressed the 16GB memory restriction in an email to a concerned customer last month.